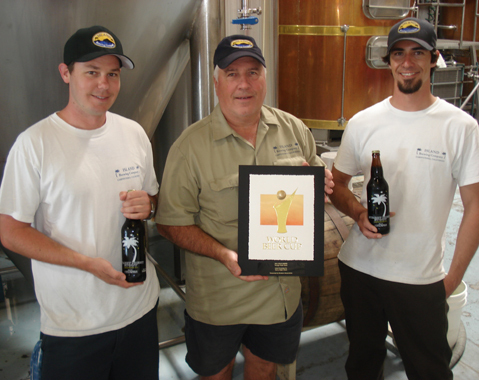 from left: Island Brewing's Shaun Crowley, Paul Wright, and Ryan Morrill. Santa Barbara County vintners better watch out because the region’s brewers are rising to the top of the global ale-crafting crop. Every two years, the Brewers Association hosts the World Beer Cup to recognize the planet’s best beer-makers, and this year’s showdown on May 5 in San Diego featured nearly 4,000 beers in 95 categories from 799 brewers.